CRAZY DISCOUNT! 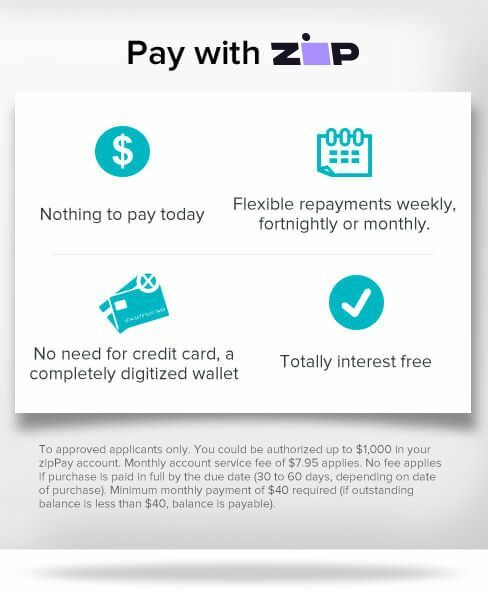 Was: $79.95 Now: $39.97! 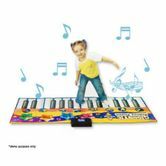 Children's Gigantic Electronic Touch Sensitive Keyboard Playmat is the fantastic toy for boys and girls of all ages. Play it with your hands, play it with your feet, play it in your home or play it on the street! Nearly 2 metres in size and great fun, this mat can record, playback and do demos! Get those kids active and boost their creativity with this fun toy! It features 4 musical modes and 8 musical instruments. Uses 4 "AA" batteries (not included). Select from 8 different instrument sounds including grand piano, trumpet, violin, harp, guitar, saxophone and accordion. You can also record the sounds that you make and play them back so that you can hear what it sounds like. 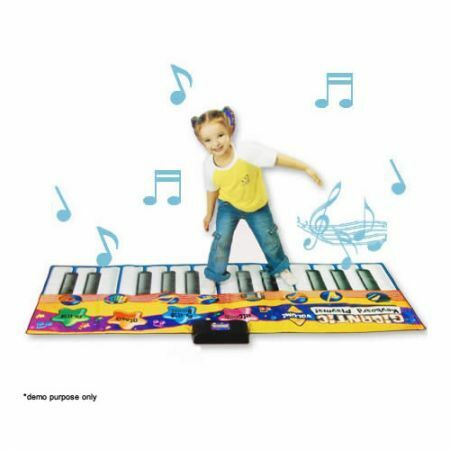 The walk on keyboard also has adjustable volume and an automatic power off feature to save the batteries when not in use.Your kids will have hours of fun on playing this smart Keyboard Playmat and they are gonna love it very much. *Note. Not recommended for children under 3 years old.